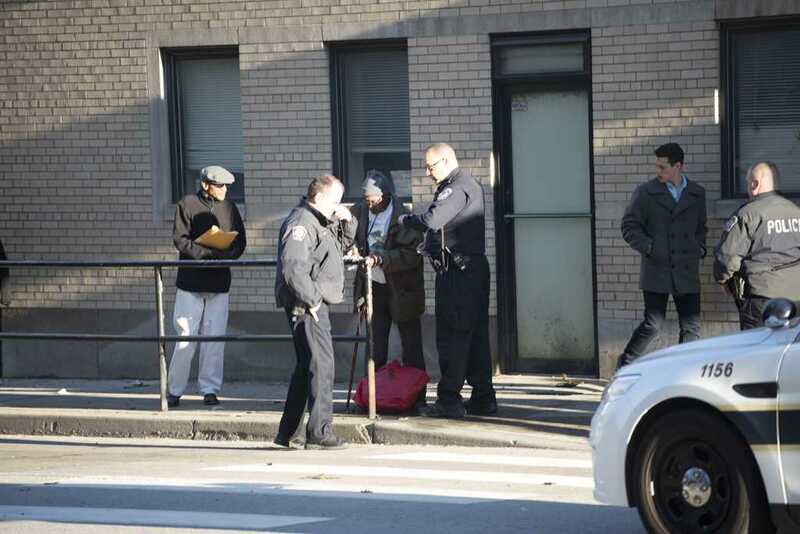 Pitt police have cleared the man who left a suitcase chained to a railing in Oakland, prompting the Pittsburgh bomb squad to detonate the suitcase and close traffic lanes this afternoon. Pitt spokesperson Joe Miksch said he didn’t know the man’s name, but said Pitt police had confirmed he owned the suitcase and did not charge him after questioning him around 3:50 p.m. According to Miksch, Pitt police said the incident was not related in any way to the University and was not intended to be malicious. Pitt police said the man, who is elderly, told them he was in Oakland for a doctor’s appointment and left his suitcase chained outside of Hieber’s Pharmacy because he didn’t want to carry it to the doctor’s office, according to Miksch. Police arrived to find the suitcase chained to a guardrail outside of Hieber’s Pharmacy on the 3500 block of Fifth Avenue in Oakland between 1:30 and 2 p.m. Pittsburgh bomb squad detonated the suitcase around 3 p.m. No one was injured. The Pittsburgh police are continuing to investigate. Joe Bettinger, the owner of Hieber’s Pharmacy, said before police arrived around 1:30 p.m., a man and woman entered the building beside Hieber’s — which shares a hallway with the pharmacy — and told him they had noticed the package and called the police. When the Pitt police arrived, Bettinger said they told him to lock his door but stay in the building. Bettinger said he and the other employees stayed near the back of the store, and the pharmacy had to turn away a woman who needed a prescription for eye drops. “I didn’t go out. I didn’t want to endanger myself,” Bettinger said. The bomb squad’s detonation was audible for several blocks, startling students and pedestrians. Pitt junior Nick Rojas said he was walking down Forbes Avenue when heard the detonation over the music playing through his headphones. Megan Dugan, a Pitt sophomore, said she was walking home on Forbes Avenue to Lothrop Hall when her friend texted her about the situation. Dugan said while she generally feels safe in Oakland, when incidents like this happen she feels there is a potential for danger, especially in a city environment. “It does make me realize something could happen, it makes me a little worried,” Dugan said. The alert noted that normal traffic patterns will resume as soon as possible and asked students to avoid the area due to a “high level of congestion.” Police have cleared the scene, and traffic has resumed on Fifth Avenue. John Villandre, a Pitt sophomore studying biology, said he was in class when he received the ENS alert. A black burned area remains on the sidewalk outside of the pharmacy where the bomb squad exploded the package. Traffic on Fifth Avenue was stopped and backed up for several blocks for about an hour and a half. At least one Port Authority bus, a 71A driving towards Shadyside, was forced to stop and let its passengers off in front of UPMC Montefiore. At 4:15 p.m. the University sent out a second ENS alert that said the scene was clear and the traffic flow had returned to normal. Jeff Ahearn and Lauren Rosenblatt contributed to this report.